Up until this point, the camera app for Chrome OS has been limited to a single camera. Namely, the camera right above your screen. And, until now, that has been all that is really needed. 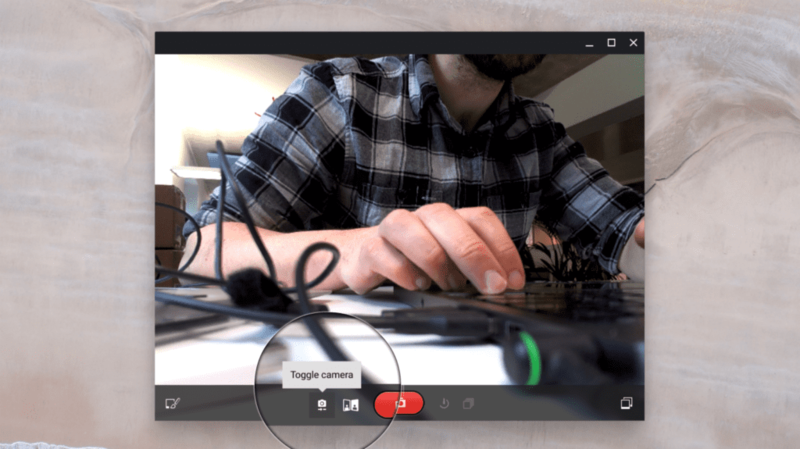 Chromebooks keep it simple, and a single webcam is as simple as it gets. We are now seeing reports from Google’s own François Beaufort that the standard Chrome OS Camera is now capable of multi-camera input. So, if you have a webcam sitting around or a much nicer camera that can act as a USB webcam, just plug it in and the camera app will give you the ability to choose between all of your connected cameras. Sure,this isn’t exactly ground-breaking, but it is sign of things to come and a potentially beneficial feature moving forward. Let me explain. For YouTubers, this addition could become very useful. YouTube Live is just getting started, but I can see us using a Chromebook connected to our Sony A6000 for live video. With the Android YouTube app, a camera, and a Chromebook, you could be uploading some potentially crispy live video. Sure, it is nice to use a phone for live video, but being able to set up a tripod with a more capable camera is very interesting, to say the least. Additionally, this change points clearly to a future (one that is coming very soon) with Chrome OS Tablets. Front and rear-facing cameras are common on tablets, so this change is more likely a move to accommodate this new form factor we are looking very forward to. Though the multiple camera setup would be nice on a standard Chromebook, this tablet implementation is likely the reason behind the move. Either way and for any of the use cases you can think of, this is yet another step forward in the ever-evolving Chrome OS landscape.